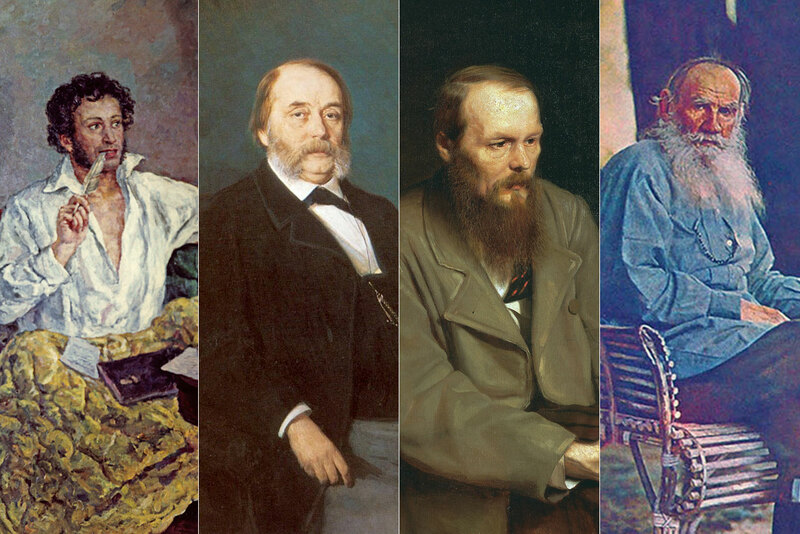 How much did Russia's classic writers earn? A Russian website has speculated what some of the country’s most famous authors could have purchased with the royalties from their novels. The Arzamas web portal has recently published estimates of what Russian writers could buy with the royalties earned from their famous works. According to the publication, Russia’s first professional writers earned more than a living wage. For the first full edition of his novel in verse Eugene Onegin (1833) famous poet Alexander Pushkin received 12,000 rubles, which today would equal 10.5 million rubles or $166,000. For this amount, he could buy 100 fashionable shirts, 200 pairs of elegant gloves, 200 pounds of flowering tea, rent a one-story wooden house in the center of Moscow for one year and pay to have two children educated at a boarding school. Actually, Pushkin, who was indeed a dandy, had four children. Therefore, he would not have had enough money for all of them. The poet was in debt all his life. His debts passed on to his wife after he died in a duel he fought to defend her honor. Tsar Nicholas I later paid off all Pushkin’s debts. For his famous novel Oblomov (1859) Ivan Goncharov received 10,000 rubles (approximately 10 million rubles or $158,000 today), with which he could have bought a mahogany sofa, 10 pairs of city sleighs, 2 chaises on springs, 19 desks with black leather, a raccoon fur coat, 1,200 porcelain cups, 5 pounds of anise soap, 17 cans of almond powder for cleaning and softening hands, 100 large watermelons, 10 sturgeons and rent a 12-room apartment in St. Petersburg for a year. Goncharov, unlike his protagonist Oblomov, did not like to lie around on the sofa. He was an active man, a traveler and a state official. He even took a round-the-world voyage as part of a diplomatic mission. He was not short of money, and if given the chance, he probably would have spent it on trips — maybe even on another expedition in the Pallada frigate. For his novel The Idiot (1868), Fyodor Dostoevsky received only 7,000 rubles (7 million rubles in today's money or more than $100,000). That wouldn’t have lasted his female protagonist, Nastasya Filippovna, very long. She throws banknotes worth 100,000 rubles into a fire. For the amount he earned, Dostoevsky could have bought an oak grove in Ryazan, a carriage for four people, 10 small chests of drawers, 10 mirrors in mahogany frames, 10 pounds of anise soap, 2 oak barrels, 30 bottles of American rum, 10 pounds of English cheese, a Moroccan leather briefcase and a bottle of black ink. Dostoevsky might have had all that if he also had not been an avid roulette player. He probably would not have been impressed by all that foreign cheese since he often traveled abroad. Russia’s wealthiest and most hardworking writer was Lev Tolstoy. For Anna Karenina (1875-1877), he received 20,000 rubles, which is about 20 million rubles today or more than $300,000. For such royalties, he might have had a house in Moscow, a coach-chaise and expensive cigars to boots, leather briefcases, china and melons. However, Tolstoy was an ascetic and did not like living lavishly. He made his own boots and his Yasnaya Polyana estate in the Tula Region would not be big enough for more than 30 Voltaire armchairs. Oh, and he already had a house in Moscow.